Genes are units of hereditary information. A gene is a section of a long molecule called deoxyribonucleic acid (DNA). Genes determine the physical appearance of all animals. Identical twins occur when a single fertilized egg splits into two separate, genetically identical embryos. Why do you look more like your relatives than like anyone else? Why do kids often grow up to look like their parents? 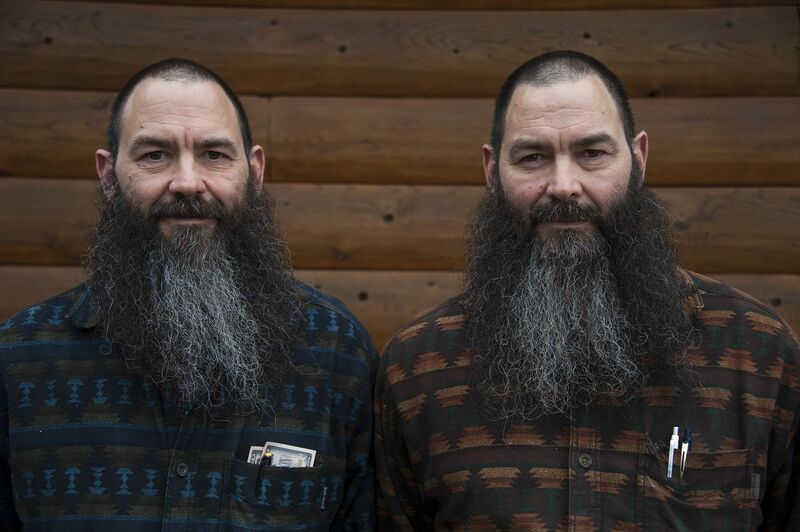 Why do “identical” twins look almost exactly the same? The answer to all of these questions has to do with genes. Genes are units of hereditary information, which organisms pass down to new generations. Genes contain coded information for the production of proteins that enable cells to function. An organism’s entire collection of genes is called its genome. The human genome contains somewhere between 20,000 and 25,000 genes. You resemble the people in your family because your genes are more similar to their genes than they are to the genes of strangers. On the other hand, your genes are more similar to the genes of all other humans than they are to the genes of a different kind of organism, such as a rabbit. That is why you look nothing like a rabbit. But human beings do resemble chimpanzees, because we share nearly 99 percent of the same genes. The more closely related organisms are, the more similarities they have between their genomes. Genomes may differ greatly, but genes are all constructed in the same way. A gene is a section of a long molecule called deoxyribonucleic acid (DNA), or—in some viruses—a similar molecule called ribonucleic acid (RNA). DNA and RNA are made of building blocks called nucleotides. Each nucleotide is built around one of the four different subunits, called bases. These bases are known as guanine, cytosine, adenine, and thymine (in RNA thymine is replaced with uracil). A gene carries information in the sequence of its nucleotides, just as a sentence carries information in the sequence of its letters. Although most genes are made of DNA, the genes use RNA to make the proteins that are coded for in the DNA. Genes are located on threadlike structures called chromosomes in the cell nucleus. A chromosome is a long molecule of DNA with proteins attached. Each cell of an organism carries at least one chromosome. Many organisms, including humans, have numerous chromosomes in their cells. .
To make a protein from a gene in DNA, a cell first builds a strand of RNA that copies the information from the DNA molecule. This process is called the transcription of a gene. The cell then uses the message in the RNA strand to build a protein molecule. This process is called the translation of a gene. Only about one percent of our DNA is in protein-coding genes. The other 99 percent is noncoding DNA. Geneticists do not know the purpose of all this noncoding DNA, but they think that at least some of it is necessary for the proper functioning of cells, especially in controlling gene functions. strand of DNA and associated proteins in the nucleus of cells that carries the organism's genetic information. scientist who studies the chemistry, behavior, and purposes of DNA, genes, and chromosomes. having to do with inheritance, or the passing of characteristics from parents to offspring. group of molecules that form that, when linked together, form the basic building blocks for DNA or RNA.